Are you trying to lose weight? Or are you just trying to improve your health? One often overlooked way to be healthier, is to look at the way you cook. 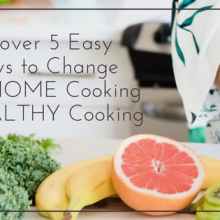 Some simple changes to the way you cook could mean the difference between feeling energetic and getting the right kinds of nutrients and feeling sluggish and sleepy. All it takes is some small steps away from calorie and sugar-laden ways of cooking. 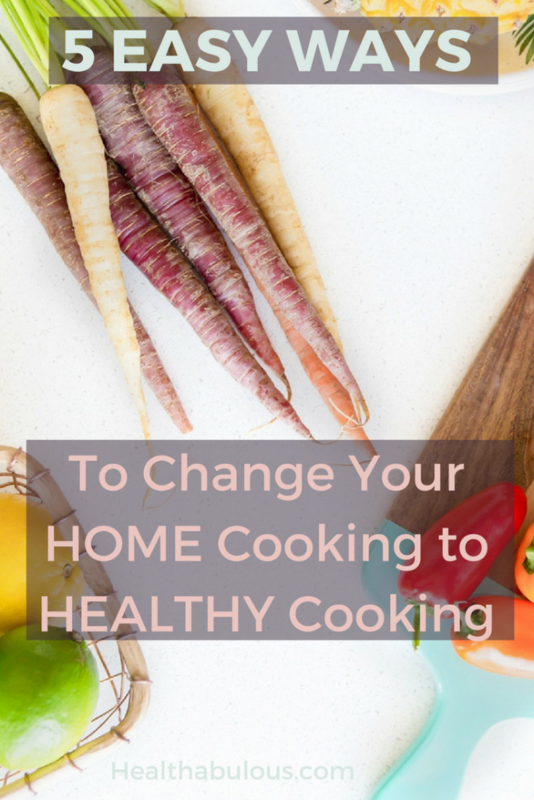 So, try some simple changes and make healthy cooking your new home cooking. There are some simple changes you can make to your normal cooking that don’t leave you feeling deprived. You may even feel more sustained and satisfied than ever before once you implement these tips. Some people worry that healthy means bland and flavourless. That couldn’t be further from the truth. You need to learn how to bring out the rich flavours of foods naturally, rather than masking flavours with unhealthy salts and sugars. You will be eating the same meals they will just taste better. Here are five effortless ways to improve the way that you eat without depriving yourself of the foods that you want. The method that you use to cook food plays is important to how healthy your meals are. People just think about the calories not healthier cooking options. People tend to think about microwave cooking as unhealthy. The main reason for this is the typical foods we put in there – processed, quick and easy meals. Obviously, these aren’t healthy for you! But if you start using your microwave for cooking healthy vegetables, you’d see a whole new side of it. Vegetables do best when they’re lightly cooked. A fast blast in the microwave heats up and softens your vegetables without you losing the nutrients from them through lengthy cooking methods. Many things can be rapidly cooked in a microwave without having to use the same fattening oils (like butter) that you might put in a pan if you were to cook it on a stovetop instead. I have had a microwave for years and only ever used it for the timer! I am still not great but I sometimes cook vegetables, eggs and other simple things. Steaming is another fantastic way to cook healthier. Steaming lightly preserves the nutrients of the foods that you’re cooking. Unfortunately, some people steam the foods to the point where they lose their vitamins and minerals, so timing is everything. When you steam foods, you won’t have the oils and fats that normally give foods flavour with other cooking methods. So, you want to learn how to use herbs and seasonings for a natural flavour punch that won’t sabotage your health. I find mint is great with green veg, and rosemary and thyme are nice with root veg but it is all personal preference. Baking is healthy if you choose the rights food to put into your oven. 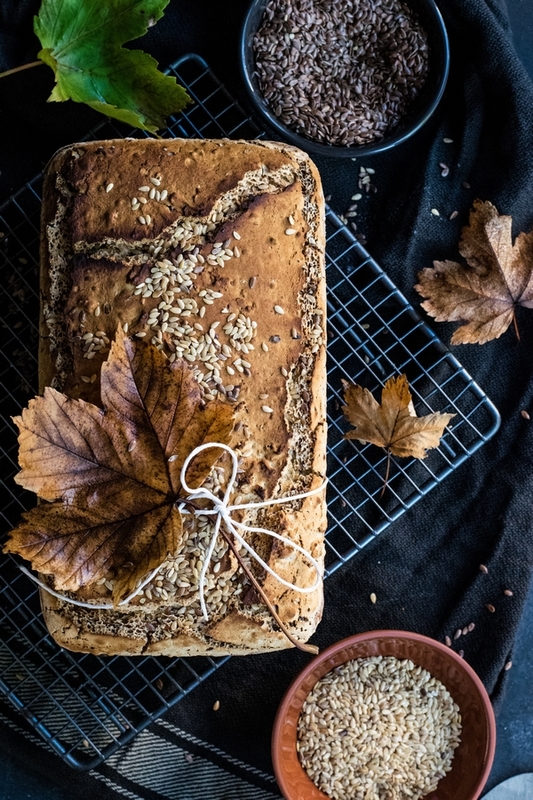 You can help foods retain their natural juices and flavour through baking. You might lose some of the nutrients due to the lengthy heat required to thoroughly cook many foods, but you get the benefit of not having to add fats to your foods. Grilling is fantastic for healthier eating. Not only does your food cook without harmful fats, but there is often added flavour from grilling. Invest in a good grill that won’t be so complex to use that you dread it. Have something easy that you can use constantly. Make sure that if you buy a standalone grill it is not too big. If you need to move it around your kitchen you are less likely to use it. Yes, I speak from experience here! Boiling, frying and poaching decrease nutrients or add fat to your meals in some cases. With boiling, you are cooking at such high heat levels that many of the benefits of the foods you’re eating are boiled out into the water. Frying can be done in levels of healthy or unhealthy. You can cook in solid lard, which is obviously very unhealthy, or use better oils like olive oil to fry, which is healthier. Even poaching can sometimes drain foods of their nutrients, but it’s also healthy to cook some meats like salmon this way, so no cooking method is completely off limits – just learn how to maximize your meal quality. Not everyone is a vegetarian or vegan, although it is a fast-growing segment of the population. Try adding meatless meals to your cooking plans for a healthier day. We do Meatless Monday. Some people like meat and want to continue consuming it at every meal, so you need to learn how to use better meat. Where possible, choose organic meats to simply change your cooking to healthy cooking. You want foods that haven’t been fed tons of hormones or feed that isn’t healthy for them. It’s a humane issue for many, but even if it’s not for you, focus on the fact that free-range animals who have organic feed are healthier for your body. Organic does cost more than other cuts of meat, but if you’re looking at cost, think of the cost is has on your body, and even the future medical costs you’ll have due to poor choices. This is another reason to have at least 1 meatless meal. You can then spend slightly more when you do buy meat. So, eat less meat but ensure it is better quality meat. 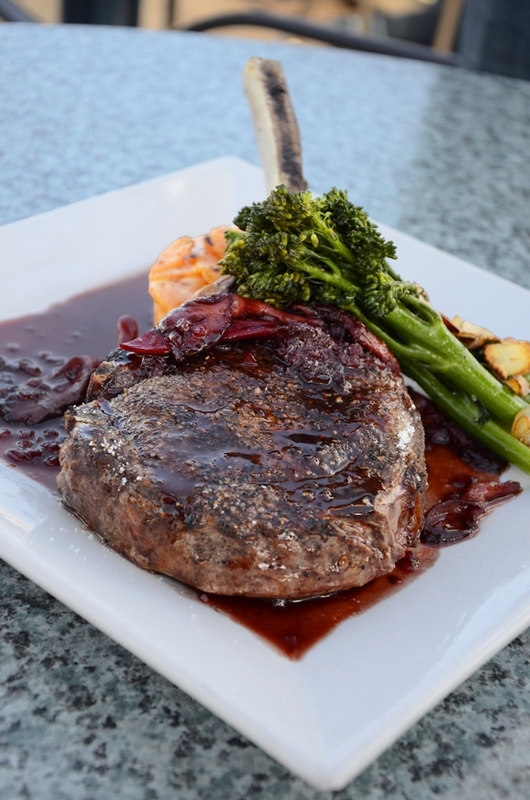 Lean meats – meats that have less marbling – can still be packed with flavour and juices – you should learn how to cook it so that it retains that flavour without drying out. Buying beef like mince is easy because it will be labeled with the percentage of fat. If you’re buying chicken, look for skinless cuts rather than those with the skin on. If you’re on a budget, just remove the skin at home before cooking. Generally, white meat is healthier than brown, but there’s new evidence showing brown chicken has some benefits, too. Fish is a healthier choice than meat. Chicken is next on the healthy scale, followed by beef and then lamb and pork. Of course, there are ways to make all of these meats healthier, if you try. Fats are very misunderstood and can be good for you! You shouldn’t be on a diet that eliminates fats completely. As we all know by now, there are good fats, and bad fats. You want to switch fats for healthy cooking. You want to get rid of the artery cloggers. If the fat is hard in its room temperature state, it’s not as healthy as a liquid one will be. For example, olive oil (a liquid) is healthier than butter. Understand that a little bit of fat goes a long way in terms of moistening your foods and in giving them flavour. Consider even using spray on types of fats for fewer calories. Use fats that aren’t packed with trans fat or saturated fat. Try corn oils and canola, olive oil and other oils made from things like sesame or sunflowers. Don’t use fats from animals like lard. Not all non-animal fats are healthy though. Coconut oil and palm oils have lots of saturated fat in them. Eating grains makes you think you’re eating healthier. But unless those grains are whole and unprocessed, then they’re less healthy. You should be finding breads and beans that are still whole and not processed so they are not stripped of their nutrients. These are difficult to like to start with but try various types to find what tastes best to you. Also try different, unusual, grains that you may not have tasted before like quinoa. If you see it on a menu at a restaurant, give it a try. As I said earlier, the less you cook your vegetables, the better they are for you. Heat depletes vitamins and minerals. So lightly steam or sauté your veg and they will taste far better. Better yet, eat them raw! There are many foods that taste wonderful raw, including baby spinach, fresh peas, cauliflower, broccoli, carrots, and more. I need double the amount of peas when I pod them, as I eat more than survive to be cooked! I am sure that you, like me, have favorite recipes that are your “go to” meals for special occasions or everyday life. Take some time to see how you can make each meal healthier. This means you’ll cut back on calories, salt and unhealthy ingredients but without rethinking your whole repertoire!